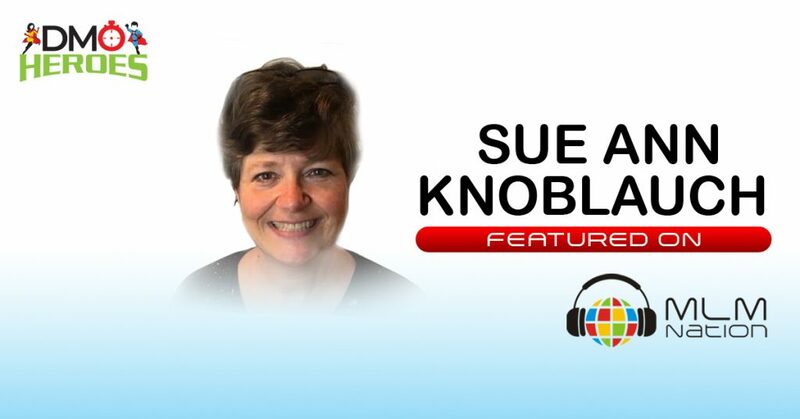 Simon Chan and Sue Ann Knoblauch discuss a communication strategy to build your network, and how to overcome your fear of sharing the business with others. Sue Ann shares how she is able to communicate with people online in order to create relationships. She also discusses the importance of authenticity, and how that drew her back to network marketing after previous unsuccessful attempts. DMO stands for Daily Method of Operation and is a checklist of what you need to do every day to build a successful MLM business online. Who is Sue Ann Knoblauch? Sue Ann Knoblauch has been in network marketing several times over the years with little success. After meeting Jared Crebs at a book event, they became Facebook friends and she watched as he did live streams where she saw his authenticity, so she went online and joined. Since then she has been very consistent in prospecting sessions and has sponsored 25 customers in the last 7 months. The feeling of the group and everyone doing the DMO together is really positive. It keeps you on track.